Lindenberg is a state owned school, located in the very south of Germany between lake Constance and the Alps. The School combines a social integrative basis with a blend of direct instruction and group work approaches. The school program is aimed at tolerance, responsibility, realistic self-assessment and mutual respect as a matter of course. Senior students regularly support younger students in academic and social activities. The friendly and international atmosphere of the Humboldt-Institut boarding house helps students to integrate quickly into daily life in Germany, while nurturing their continued language development and the establishment of social contacts. 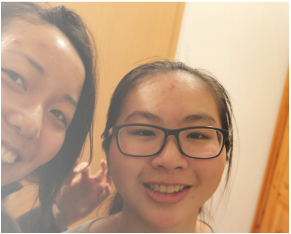 Containing only about 40 students the boarding house is a great place to make new friends. Students there support and treat each other like family. Additionally you will get individual support (e.g. homework and problem solving) and 24-hour supervision. If you really want to get to know the Germans and their culture, this is the perfect place for you. As a public school the “Lindenberg Gymnasium” teaches according to the rules and regulations of the Bavarian Ministry of Education. The "Gymnasien" (= schools providing secondary education from grades 5-12) of Bavaria provide one of the highest education standards of Germany. Quality, fairness and individual advancement are guidelines of the Bavarian educational policy. Moreover, the “Lindenberg Gymnasium” offers a bilingual track, in which the subjects history and geography are taught in English from grade 7 on. This development illustrates the increasing internationalization of the school as well as the professional and personal dedication and commitment of the school administrators, which especially and foremost is to the benefit of the new Humboldt-boarders of the school.